Next Hosted Trip: October 1st – 8th SOLD OUT! Golden coast Hotel & Bungalows is a 4-star, beach front hotel located on the sandy beach of the famous Marathon Bay and near the historic town of Marathon, Attica. Golden Coast Hotel offers sea view rooms and 2-storey bungalows set amidst beautiful gardens and features 3 swimming pools and 3 restaurants. Accommodation is traditional greek style. Free Wi-Fi is available in the lobby, the lounge and the bar areas. The popular beach of Schinias is a 5-minute walk from Golden Coast Hotel & Bungalows. Tennis in the sun guests have access to 12 tennis courts as well as soccer, gym and volleyball facilities. An on-site playground and children’s pool are also available. Rooms open to furnished balconies or patios. The 540 air-conditioned rooms include safes and hair dryers. Wireless high speed internet access (surcharge) is provided. Televisions all have satellite channels available. Bathrooms offer shower/tub combinations with deep soaking bathtubs and complimentary toiletries. Housekeeping is offered daily. * Price based on 4 people sharing two twin/double rooms with 4 hours group coaching and also includes airport transfers. Bookings can be made April to October. 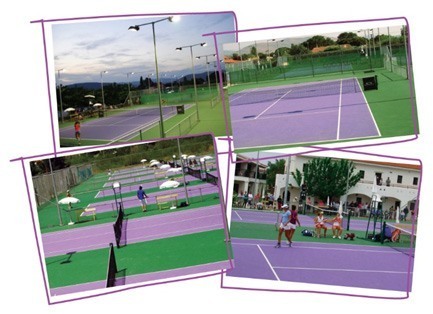 Tennis in the sun offers unique, state-of-the-art tennis facilities in Greece, with 12 new Greenset type tennis courts (Grand Prix Cushion), four with floodlights. We provide high level learning programs by experienced coaches with proven methods that ensure results for players of every level and age. There is also a fitness and physiotherapy centre on site. * Return transfers are only included in the package price if a minimum of 2 passengers are travelling on the same flight. If travelling alone a transfer supplement will be charged. Golden Coast Hotel & Bungalows offer a variety of dining options. The main restaurant serves breakfast, lunch and dinner in buffet style, and there is also an a la carte grill-restaurant and a beachside tavern. A pool bar and an indoor bar serve snacks, drinks and cocktails. There is also a walking and cycle path along the sea front, where you will find a wide choice of restaurants close by. There are plenty of historical and cultural places of interest in close proximity to the hotel. In fact, Marathon is the site of the battle of Marathon in 490 BC, in which the heavily outnumbered Athenian army defeated the Persians during a historic battle. Being so close to the endless selection of ancient landmarks in Athens, tourists staying in Marathon simply must not miss out on spending time visiting these major attractions, many of which are known the world over. The most famous attractions in Athens include the Acropolis, Hadrian’s Arch, the National Historical Museum, the Temple of Olympian Zeus, the Theatre of Dionysos, and the extremely family orientated Attica Zoological Park. Finally, we also operate a full PADI scuba-diving centre (lessons and equipment hire are available at extra charge). The best beach is the long, sandy, pine-backed stretch called Schinias. 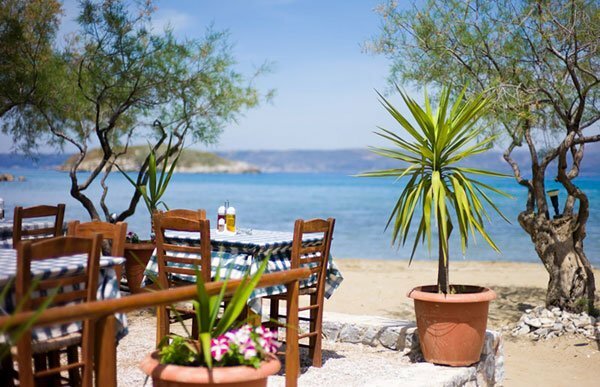 It’s crowded with Athenians on the weekend, has a few simple tavernas along the sand and quite a lot of beach bars.